تنويه: كُتبت هذه التدوينة في اليوم الأول للهجوم الدموي الهمجي الإسرائيلي على سكان غزة. هذه التدوينة تتكلم عن الخيارات وقت التهدئة والهدوء النسبي وليس أثناء العدوان الإسرائيلي الدموي. أنا فلسطيني وأحب فلسطين حتى آخر قطرة دم في جسدي. وجزء من الحب أن تنصح من تُحب حتى لو كانت كلماتك قاسية قليلاً. أنا أعرف أن كلامي قد لا يروق لبعض الناس، وخصوصاً في هذا الوقت، ولكن علي أن أقوله. إن ما يحصل في غزة جريمة بكل ما تعنيه الكلمة. إنها جريمة بحق الفلسطينيين والعرب وحتى البشرية جمعاء. فهل يُعقل أن يُقتل أكثر من مئتي إنسان في ساعات قليلة بدون حق؟ أيعقل أن يستمر قتل الأبرياء والأطفال بدم بارد؟ أيعقل أن يستمر العالم بالسكوت وإدانت المُعتدى عليه والإشادة بالمعتدي؟ هذه جريمة على أكثر من مستوى. ولكن دعونا نكون موضوعيين للحظة. هذا الوضع ليس جديداً علينا، فقد تكرر مراراً على طول السنين ولم يتغير به شيء. عندما ندفن شهداءنا هذه المرة، دعونا نفكر قليلاً. ما هو الحل؟ وماذا علينا أن نفعل؟ هل نستمر برمي “صواريخ” القسام الفارطة؟ ماذا أنتجت هذه المواسير الطائرة؟ هل سمحت لأي نفس في غزة بأن تأكل وتنام؟ هل سمحت للأب في غزة بأن يوفر حياة لعائلته؟ البارحة تم إطلاق 80 من هذه المواسير ما أسفر عن قتل إسرائيلي واحد. ماذا كان الرد؟ إسرائيل إستعملت أسلحة حقيقية وقتلت أكثر من 200 من أًطفالنا ورجالنا ونسائنا. يا إخواني الزمن تغير: إسرائيل أقوى الآن من أي زمن مضى، والدول العربية أضعف من أي وقت ماضي، والفلسطينيين في غزة أجوع وأمرض من أي وقت ماضي. إسرائيل مدعومة عالمياً بالمال والسلاح من مُعظم دول العالم وأقواها، ونحن لا. فيا إخواني دعونا من أوهام أن الـ”حرب” ستجدينا أي نفعاً. دعونا نكون واقعيين، نحن ضعفاء وهم أقوياء. نحن لسنا أنداداً لهم عسكرياً فلماذا نستمر بهجماتنا؟ صحيح أن العمليات والـ”صواريخ” تُذعر البعض في الشارع الإسرائيلي، ولكنها تؤدي إلى قتل المئات في الشارع الفلسطيني. صحيح أن المفواضات لم تكن مجدية 100% ولكن الخيار العسكري أدى إلى منع الأكل والدواء وحتى الحج عن أهل غزة. قولوا لي ما هي فائدة هذه العمليات والـ”صواريخ” ؟ لا فائدة لها، فعندما يُذاع خبر إطلاق “صواريخ” فلسطينية على إسرائيل، يبرر العالم إستخدام إسرائيل صواريخ حقيقية للرد. إذا هذه الصواريخ لا تضر أحداً سوانا. I have asked myself these questions a million times during the 2006 war on Lebanon, You can drive yourself crazy and will not find an answer..All I can say is that I feel your frustration..I know how it feels to be away watching your home being bombarded and your people dying..
Can’t help but pray, inshallah ya rabbi it will all end soon..Am praying to Allah just to watch over them..
أكيد هذه الحركة كانت محسوبة بشكل دقيق من إسرائيل. وإسرائيل لها سوابق في إستغلال الظروف الدولية لعمل الفضائع في حين أن العالم لا ينظر. فمثلاً بعد أحداث سبتمبر، صعدت إسرائيل من عدوانها على الفلسطينيين بدون أن ينتبه أحد في العالم. أما بالنسبة للحكومة الأمريكية القادمة، فأنا لست متأملاً بأن موقفها تجاه إسرائيل سيكون في غاية الإختلاف للأسف، ولذا علينا نحن الفلسطينيين بأن نتصرف بشكل دبلوماسي أكثر. Noura: You are absolutely right. How did the 2006 war help the Lebanese ? How do the current events help the Palestinians ? 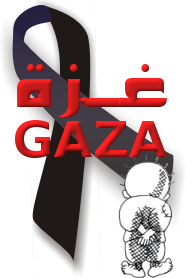 We all pray that this aggression ends, and that the innocent civilians in Gaza are not slaughtered left and right. But God also does not help those who do not help themselves. We need to think rationally and think about what can realistically happen in today’s world. I currently believe that a diplomatic solution is the way to go. Za3tar, what is the alternative? Abed: I don’t know your point exactly. Can you elaborate please ? The day before yesterday 80 Qassam pipes were fired into Israel. What have they done exactly ? Have they brought us anything ? Hamas is vowing revenge now; what will that bring us ? Will it bring us victory or more death ? Can anybody tell me that the Qassam’s will bring the Palestinian people any good ? We can sit here comfortably and give slogans all day long. But facts are facts. Reality is reality. The strategy of firing pipes at Israel has brought the innocent civilians in Gaza nothing but death, hardship, and more brutality from Israel. The negotiations have not worked 100% but they are at least a little better. We have grandmothers in Gaza that are dying in hospitals because Israel is blocking medicine. We have children sleeping hungry at night because Israel is blocking food. There is little electricity and little bread. We have to calculate what our actions do for us in the future. We have to adapt our strategy to the current times. I do not support any Palestinian party. But i honestly believe that diplomacy is the best strategy now. i don’t think the current actions of the palestinians inside Gaza are born out of strategic thinking. More likely they are born out of desperation. Desperation, because nearly six months of more-or-less ceasefire didn’t bring any advantage to them. They still have to suffer from a blockade that is eating them alive. I agree that firing rockets at a city nearby can merely be described as an act of desperate revenge, but out here we can try and think strategic, but inside they don’t seem to have the luxury of that. I keep thinking the only thing that could have helped them is, if we all (and i mean a really large number of ships) got off to visit them like that ships that breached the blockade and (on a daily basis) established a trade route to the outside world.. Do i have the courage to do that? I don’t think so..
والله يا زعتر مثل ما حكينا مبارح، هذا روتين الناس زهقت منه… إلي محاصر ما بفكر مظبوط، والغير محاصر أكتر اشي بيعمله إنه بعصب على عدم وجود ردت فعل.. وفالواقع، هو نفسه مو عارف كيف يتصرف. Omar: Salam, and thanks for the comment. I agree with you, firing the “rockets” from Gaza is merely an act of desperation. I also agree that we have the luxury of not being under the fires in Gaza right now. I have had this on my mind for a long time now, and i tried to refrain from saying it but i finally burst. Ok, the weak cease-fire did not bring much, but will the Qassam pipes bring us anything now ? The only way we can exert any pressure now is diplomatically, but these pipes are destroying any points we can make. Seriously, in the end, what is the realistic way out of this situation for our people in Gaza ? Will the end game be more Qassam pipes ? I don’t think anybody believes that. As you said, these are acts of desperations. I totally understand. I lived under the brutality of the occupation too. But it is time to work more seriously towards achieving a dignified and peaceful life for ourselves. آخ يا عزيزي. معك حق إنو الواقع مخزي. بس برضه لازم نحاول إنزبطه بدل ما نتركه على ما هو. أحمد منصور: وكالة الأنباء الفرنسية نشرت تقريرا أيضا قبل يومين قالت فيه وبمناسبة الذكرى الستين لقيام إسرائيل، إن نسبة الذين يشعرون بالأمن في المجتمع الإسرائيلي لا يزيدون عن 4% من السكان، دولة 96% من سكانها، دولة نووية تملك جيشا من أقوى الجيوش في العالم ومجتمع معسكر ومع ذلك 96% لا يشعرون بالأمن. عبد الوهاب المسيري: هذه إحدى إنجازات المقاومة التي لا ننوه بها بما فيه الكفاية، إن المقاومة أرسلت رسالة مسلحة للمستوطنين الصهاينة أنه لا علاج، أنه نحن هنا نحن باقون نحن نقاوم وكلما ازداد البطش ازدادت المقاومة، لكن بقى في عنصر أساسي..
يا أخي الفاضل، كل ما أقول هو أنه علينا أن نُقَيم جدياً نتائج إستعمال أسلحة القسام، وعلينا أن نرى جدياً هل أعادت علينا بالنفع أم لا. وعلينا أن نرى بجدية ما هو التصرف الأنسب لنا في هذه المرحلة. حقيقة أخي زعتر.. مقالك لم يأتي سوى بالصواب!! مؤلمه هي الحقيقة ولكن لكي نغير يجب أن نواجه أنفسنا!!! مللنا من كل هذه الهمجية من الطرفين .. ومللنا من الوحشية في التعامل .. ومللنا من التشاؤم .. ومللنا من كل شيء غير حقيقي!! شخصياً أنا أقف مع السلام .. السلام والأمان لكل روح بشرية .. وأهل غزة هم روحي .. ولن يرضى أي انسان أن يقف مكتوف الأيدي في هذه الأزمة المؤلمة .. Victory is only a matter of one hour’s patience; science, technology and equipment have never been a nature’s gift to or monopoly for one nation or group under God’s sun; the attempt to destroy the potential of a nation is useless and will only firm-up the already strong determination of the impoverished, besieged and deprived of one’s land to continue to resist until victory is realized, by Allah’s will. We can sit here and say slogans all day. But facts are facts. We are not as advanced scientifically, technologically, economically, and financially as Israel. On the contrary, Israel has blocked even basic food and medicine from our people in Gaza. I am not saying this because i am defeated. I am saying this because i am a realist and i look on the ground. Yes our spirit is defiant, and we have never forgot our cause, and will never forget it in the future. I believe in Palestine. I believe in the Palestinians. But death is death. Casualties are casualties. Why shouldn’t we look on the ground and see if a particular tactic works or not. Why must those 5 young sisters die in their sleep because of an Israeli missile ? We all know that Israel is barbaric and ruthless in its attacks. In a perfect world, we can prevent Israel from doing that, and defend those little girls. But this is not perfect. We know that firing these “rockets” will not give us anything. It will only encourage more ruthless and barbaric attacks against us while the entire world watches and Israel is given the green light as always. So why not face the facts and act rationally ? This only gives Israel what they want, their claim that firing the rockets is wrong…. IT IS NOT… There are occupied lands that are in need of liberation and resistance is the right of every nation under occupation… It is not terrorism and all international laws give the people the right to defend themselves… If being under siege and occupying the land is not enough reason then what is?!? I am not talking about this specific instance, because it has started all what they can do now is to resist to make it end faster. That is correct, and i am not saying anything against that. However, what i am saying is that we Palestinians have to think about our actions and behave in our best interest. When the cease-fire ended a week ago, they shouldn’t have fired 80 “rockets” at Israel because they are useless, and they only give an international excuse for Israel to block humanitarian aid and bomb Gaza. I have said repeatedly that Israel does not need an excuse to invade and bomb us, but why should we give them one ? Do you really think that these “rockets” will liberate us ? Seriously, and if you be honest with yourself for a moment. How do you think this current situation will end ? I think everybody understands that this current violence will end with the international community stepping up eventually and both sides holding a cease-fire again. So it will be exactly the same situation it was before this whole thing started. So what would we have gained from all of this except for the hundreds of dead people and thousands of wounded ? Was this move really in the interest of the Palestinians ? لا يا صديقي، اذا أنت الفلسطيني تقول هذا!!. وهل كان هناك حجة لدى احتلال فلسطين!، يا أخي الاحتلال ليس بحاجة لحجة، بل هو يقوم بالاستفزاز تماماً كما كان يفعل مع الجيش السوري قبل نكسة حزيران!!. يا سيدي هذا الصاروخ البدائي البسيطي بالنسبة لي هو التاريخ بعينه، أن تطلق الصاروخ رغم دمار كل شيء يعني أنك تقول “لا” للظلم، والشعب الذي يقول لا للظلم حتى ولو دمّر كل شيء من حوله، هو شعب لا يستحق الحياة فقط، بل هو الحياة بذاتها. الاحتلال سيدمر ويشّرد ويقتل ويرتكب مجازر كيفما كان، لأن ما يرتبكه هو أمر مخطط له، والمشكلة لم تكن أبداً بصواريخ حماس ولا بحماس، المشكلة بالمقاومة الفلسطينية. وددت لو نظرت للموضوع من منظار آخر، هذا الصاروح يا زعتر عندما ينطلق ويخترق أنظمة الاستشعار عن بعد ومنظومة باترويت ويدخل نطاق العدو رغماً عن أنفه ويصيبه ويسبب له الذعر والدمار. هذا الصاروخ ينطلق ليقول للاحتلال لا وألف لا على ظلمك وسنقاتل احتلالك شئت أم أبيت. مرة أخرى لا علاقة لصواريخ حماس بالموضوع، صدقني. اسرائيل تريد أن تجعل من غزة عبرة لم يفكر في مقاومتها، تريد انتزاع نصر بعد خسارتها من حرب تموز، تريد انهاء مشروع المقاومة. سؤال يا زعتر، عندما تقول اسرائيل هدف الحملة هو ايقاف هذه الصواريخ التي أساساً كانت تنطلق لوقف العدوان، وترتكب أفظع ما يمكن للعقل أن يتخيله من مجازر لاجبار الشعب الفلسطيني على انهاء مقاومته ومع ذلك ورغم كل شيء تنطلق هذه الصواريخ وتستمر المقاومة، ماذا يعني ذلك؟! ألا يعني فشل العملية، وانتصار المقاومة. أرجوك لا تربط بين الصاروخ وعمليات اسرائيل، لا علاقة هذه بهذه، وتأكد تماماً لو أوقفت حماس صواريخها وأبقت على الحجار ستستمر اسرائيل بالقصف طالما الايمان بالمقاومة موجود ولن يتوقف حتى تفشل اسرائيل في انهاء المقاومة ضمن الوقت المتاح لها أو تنتهي المقاومة. لا علاقة لصاروخ المقاومة بالمجازر، وان كان هناك شيء واحد سيوقف اسرائيل فهي صمود المقاومة وفشل اسرائيل في تحقيق أهدافها. صديقي علوش، إذا لم يكن الإحتلال الغاصب يحتاج إلى حجة فلِمَ نعطيه واحدة بدون أن تعطينا أي نفع لأهلنا في غزة على الأرض ؟ أريد أن أكرر لك أمران قلتهما للمعليقين قبلك. أولاً، عدم تحقيق أهداف العملية الإسرائيلية لا يعنبي بالضرورة الإنتصار للمقاومة. ففي الحرب يمكن للطرفان أن يخسرا بدون أي مُنتصر. مثلاً، أنظر إلى العراق، لم تنفذ أمريكا غرضها كاملاً، ولكن هل فاز العراق ؟ بالطبع لا. إذاً عدم تحقيق أهداف العملية الإسرائيلية لا يعني بالضرورة الإنتصار لنا. ثانياً، أنا لا أتكلم عن الرد على الإعتداءات الآن، فهي الآن ضرورية للتسريع في التهدئة. ولكني أتكلم عن وقت الهدوء النسبي (كما كان الحال قبل هذه الهجمة الأخيرة) .. فماذا كان نتيجة هذه الصواريخ الثمانين التي تم إطلاقها في حينها ؟ هل أعادت على سكان غزة أو الفلسطينيين أجمعين بأي نفع ؟ بالطبع لا. يا أخي علوش، كل ما إقترحته هو أن نفكر عقلانياً ونأخذ بعين الإعتبار أرض الواقع قبل أن نتصرف بأي شيء. يعني قبل أن تُقذَفَ الصواريخ في المرة القادمة بعد التهدئة من باب المقاومة، هللا فكرنا إذا ما كانت فعلاً ستساعد الفلسطينيين والقضية الفلسطينية أم لا. الأمر المؤسف حقاً بالموضوع يا أخي علوش هو أن الجميع يعرف ضمنياً كيف ستنتهي هذه الهجمة العنيفة. سيتم إيقاف النار بتدخل متأخر من المجتمع الدولي وسوف تعود إسرائيل لحصارها ويعود الأمر إلى ما كان عليه قبل كل هذه الأزمة. إذا كان هذا هو الحال، لِمَ أعطيناهم حِجةَ دولية وخسرنا المئات من إخواننا بدون أن نُحرز أي تقدم على الإطلاق. لقد أصبت كبد الحقيقة في تعليقك الأول وذكرت نقطة أتفق فيها معك تماماً. الدول العربية مُتخاذلة وقد تخلت عن حماس والمقاومة وحتى لم تعترف بشرعية فوزها بالإنتخابات. أنا معك في هذا الأمر تماماً ولذلك ذكرت في مقالتي أعلاه أن علينا أن ننظر إلى الواقع العربي اليوم. أنت لم تُجبني حسمياً حتى الآن على سؤال إن كان إطلاق الصواريخ الثمانين قد صب في النهاية بمصلحة الفلسطينيين أم لا. أنا كما قُلتَ أرى نقطة الإختلاف في منظرونا. أنت ترى أن الوضع الحالي سيئ (بدون إستعمال كلمة أسوء) ولذا لا ضير من زيادة الطين بلة ومحاولة أي شيء كي لا نسكت عنه. أما أنا فإني أرى أن الوضع سيئ أيضاً ولكنني أحاول أن أتفادى أن يصبح أسواء. لا أدري أي هذين الرأيين أصوب ولكن هذه وجهة نظري في المقالة أعلاه والزمن هو الذي سيكون الحكم. أما بالنسبة إلى تعليقك الثاني حول العراق. أنا واقعي ولا أقصد نصراً هوليودياً، ولكن كيف تستطيع أن تقول أن العراق إنتصر إذا كان الإخوة المسلمين في العراق يقتلون بعضهم بعضاً ؟ كيف يكون هذا نصراً للعراق إذا كان العراقيون يقتلون عشرات العراقيين يومياً ؟ إذا كان هذا نصر العراق فإني أخشى أن أرى هزيمته. برأيي، أمريكا خسرت في العراق، ولكن العراق لم يفز. نعم أنا فهمت ما قُلته عن أن سواء أُطلقت الصواريخ أم لم تطلق فإن العدوان الإسرائيلي موجود حتى ولو خفت وطئته لحين. ولكن ليس في هذا إجابه عن التقدمات الملموسة على الأرض التي حققتها هذه الصواريخ للفلسطينيين. أما بالنسبة للعراق فإني أتمنى أن يكون كلامك صحيحاً ويتوقف الإقتتال الداخلي وتتوقف الفتنة بين المسلمين بمغادرة أمريكا من العراق. أنا لا أدري أي السياستين (الهجوم بأي شيء أو التهدئة والتعقل والحوار) ستكون الأنسب في نهاية المطاف، وما ذكرته أعلاه ما هو سوا رأيي في هذا الموضوع. ولكن في كل هذا، يا ليت لو أن الحكومات العربية تصحوا من سباتها وتنصر إخوانها المناضلين في فلسطين، صدقني لكان في هذا مثل الفرق بين الليل والنهار. كلا يا عزيزي. جوهر الإختلاف أني أحاول ذكر الآثار الفعلية الملموسة على أرض الواقع بينما أن كل ما ذكرتَه أنت أعلاه هو مِثاليات. هذه المِثاليات ممتازة إذا كانت مقرونة بنفس الوقت مع تقدم على أرض الواقع، وحتى لو كان على الأمد البعيد. الضحايا المدنيين في سبيل تحرير الوطن مقبولون إذا كان موتهم مقروناً بإحراز تقدم ميداني نحو تحرير الوطن. هذا هو لُب القصة. إقتران المثل والواقع هو الأساس. و كما قلت لعبد قبل قليل، أنا لا أدري أي السياستين (الهجوم بأي شيء أو التهدئة والتعقل والحوار) ستكون الأنسب في نهاية المطاف، وما ذكرته أعلاه ما هو سوا رأيي في هذا الموضوع. ولكن في كل هذا، يا ليت لو أن الحكومات العربية تصحوا من سباتها وتنصر إخوانها المناضلين في فلسطين، صدقني لكان في هذا مثل الفرق بين الليل والنهار. هذا يجعل التعليق يُرسم من اليمين إلى الشمال ويجعل الخط أكبر. ولكن من الصعب علي أن أطبق هذا التغيير على جميع التعليقات بشكل يدوي. كل عام وإنت بخير بالمناسبة، وإن شاء الله تكون السنة الجديدة أفضل من التي مرت على أهل غزة والفلسطينيين وكافة العرب والمسلمين. للعلم فقط أن تعليقات “غزاوي” و”فلسطيني حر” خرجت من عمّان ومن المنطقة ذاتها. مع كل هذا النفخ بتوقع الواحد منهم يروحوا يساعدوا إخوانهم في غزة بدل التهجم على الآخرين. يا ما أطول اللسان على الحكي ويا ما أقصر اليد عن الفعل. تنويه: بعد هذه النقطة سيتم محي أي تعليق فيه هجومات شخصية.أنا أرحب بوجهات النظر المختلفة والمجال مفتوح للتناقش بإحترام وبشكل حضاري. 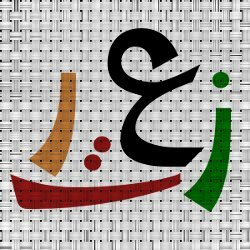 وليس لغير ذلك. فإن هذه الحرب التي هي من طرف واحد ما هي إلا لتنهي آمال الصهاينة باحتلال غزة .. فها هو اليوم السادس عشر و اسرائيل لم تحقق ولا أي من أهدفها .. لا يغرنكم ما تقوله فهي كاذبة ..
خالد مشعل المطرود من أرض فلسطين آثار الحماسة في روح المجاهدين و المسلمين حول العالم .. بعد أن اثارتها خطبة العلامة الشيخ يوسف القرضاوي يوم الغضب العالمي … و ها هي جموع الغاضبين من المسلمين و غير المسلمين تحتشد في لندن و باريس .. تنديدا بالحرب على غزة ..
أقول لكم .. اسرائيل افتعلت هذه الحرب لنهاية ولاية بوش عليه و عليهم لعنة الله … و عدم ضمانها أوباما ، الذي هو ربما يصلح الخراب الذي خلفه بوش .. و يقطع العلاقات مع اسرائيل .. هذا ما اتمنى .. و صمته هذه الأيام دليل على ما سوف يقوم به .. على المثل : السكون الذي يسبق العاصفة الشديدة ..
اللهم صلي على محمد و على آله و صحبه و من والاه ..
مراسل نور الزمان – غزة – فلسطين المحتلة ..
يا زلمة ما حدش قال إشي غير هيك. إسرائيل إفتعلت حجة إنها هاجمة على غزة عشان توقف الصواريخ بينما الجميع عارف إنها ما راح تقدر توقف الصواريخ هيك، والكل عارف إنو سبب العدوان الإسرائيلي هو لرفع رصيد ليفني في الإنتخابات المقبلة ضد نتنياهو، ولإستغلال الفرصة قبل ما يطلع بوش من الحكم. والكل عارف إنو الوضع بعد ما ينتهي هذا العدوان راح يكون زي ما كان الوضع قبل بدء العدوان. برضوا لاحظ إنو غيرك كانوا مختلفين معي بالرأي زي ما شايف فوق، ومع ذلك تكلموا وتناقشنا بلباقة وبدون المسبة والمهاجمة والتخوين. أنا محيت التعليق الماضي تبعك عشننك قعدت تهاجمني شخصياً فيه، والسبب إني رديت على هذا التعليق هو إنه كان كلام محترم عادي بدون أي تخوين أو تهجم. iPad vs Kindle? ... You're missing the point!